Steve helps enterprises think through the opportunities and complexities brought about by today’s dizzying array of emerging technologies. 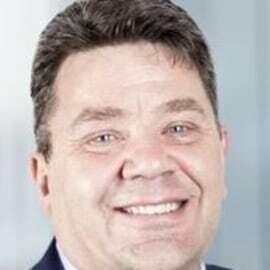 He is a seasoned professional, fluent in how to make transformational change with cloud, automation, mobile or DevOps and discerning in where and when they add value. He has implemented many global service delivery models and advised large multi-national corporations on their IT strategies. Steve co-authored Managing Global Development Risk, A Guide to Managing Global Software Development. As President of EMEA and member of ISG’s Executive Board, Steve leads ISG’s Digital Strategy, the Global Portfolio Council, and is ISG’s Executive Sponsor to the TBM Council.